Set in 1955, The Disappearance of Signora Giulia is one of the most truly baffling mysteries I've read in quite some time. By the time I finished this book, I was totally perplexed. 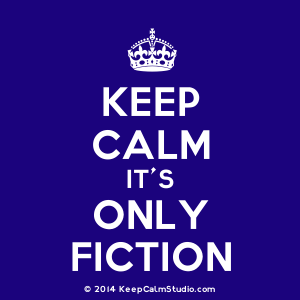 And trust me -- after having read thousands of mystery novels in my time, "baffling" is not a term I throw about willy nilly, but I'm certainly not going to spill my guts as to why I found it so. 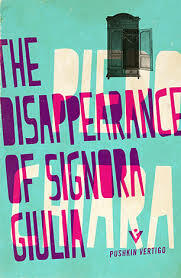 Despite some minor lulls here and there in the telling, The Disappearance of Signora Giulia is beyond compelling and it's certainly one of the most unconventional crime stories I've ever read. It is a true whodunit in every sense of the term, with a big, no make that huge, twist I never saw coming. When I finished it, the first words coming out of my mouth were "that's just brilliant," and if anyone reading this post decides to read it, you'll see why. I pondered over that ending for some time and when a book makes me do that, well, I call it a good one. Very much recommended, especially for readers of older crime novels, for readers of international crime, and for readers of crime fiction who enjoy something completely different. You have won me over; I would like to read this. really, really good book, Skye. Yep, I'm won over. Now to find this book. It's very different, which is quite refreshing these days! Read it, library had it. Liked it.